We at Hooks Home Bound Rescue are about saving Lives! May it be one of our great animals or one of our great Heros! We will educate you on safe driving Habits and proper handling of animals in your home! We will resource, network and promote the towing industry and shelter pets! Please Adopt, Foster, or Donate to an animal or family in need! We are here to save lives! "Make a Hero out of you!" is for the tow truck drivers who go out daily on calls to rescue those who are in need of help. Many do not make it back home; some end up in the hospitals,physically disabled and some are even killed as other drivers do not observe the National Move Over Slow Down laws. These guys and gals are out there for all of us twenty-four hours a day! They are the unsung heroes of the road! Is where we all are headed to find peace, comfort and security so we do not need a RESCUE. We are an organization that saves the lives of Humans and Animals alike. For the Humans, who are the true heros to all of us, and for the animals in need, may they be in High Kill Shelters, Deserts or abandoned on the roadside. We invite you to come meet us and our wonderful staff ask questions and get to know us and like our pages. 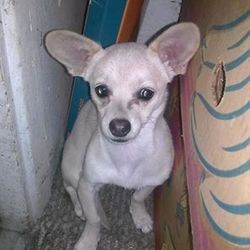 Our goal is to save and help those pets in need from the "HIGH KILL SHELTERS" in hopes to cut down on the "Owner surrenders", and "ABANDONMENT." We search in the rural and desolate areas to reunite those pets with true forever homes.We also fight against "NEGLECT" and "ABUSE OF ANIMALS." We strive to teach you about sterilization, micro-chipping and vaccinating your pet. 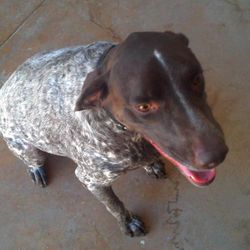 With getting connected with low cost/no cost programs to assist you in keeping your pet. We will be launching a PET FOOD BANK FOR THE LOCAL COMMUNITY, soon, to help those families in need to keep their pets they consider "FAMILY"! We are not for profit and can only do this with the help of donations! Please consider donating with us! One Day we hope we can see the day we no longer have to be needed. With over-population of our pets and tens of thousands getting killed each year we want to educate the public about spaying,neutering, vaccinating and micro-chipping of your pet. We want to help those in need with our Pet Food Bank and low cost spay/neuter clinics in hopes of keeping more pets with their families. We rescue those pets in need, making sure they get the medical attention needed and if need be, training to become a happy adoptable pet. In assisting mankind, we promote the Move Over Slow Down Laws in the Towing Industry. Tow Truck drivers need your help when they help others in need, as they do their rescues.. Each time you break down in your vehicle a tow truck driver is there to assist you 24 hours a day 7 days a week, as we are here for the animals. As we work closer to be able to get our 501c3 (tax deductible status), We remind you, we can not do what we do without assistance from the public; As the more pets we rescue, the more the needs are that have to be met. So please continue to support us as we support those in need!! Each driver must either MOVE OVER one lane or SLOW DOWN to under 20 mph (average) under the posted speed limit on freeways or roadways to emergency vehicles with lights flashing. Emergency Vehicles and First Responders are classified as any Police, Fire, Ambulance, Tow Truck with flashing lights. These Tow Truck Drivers are our Hero's of the Hook! Every day you can be a Hero just by following this simple law. All states in the United States have a Move Over Law! All but four of these states include Tow Trucks in this law! In the many states that have the law the public is mostly unaware of the law even existing, let alone follow it! This law was passed to help save Heroes working our roadways on a daily basis. These Heroes are hit, injured and killed due to people not sharing the road, driving while distracted, or driving under the influence or even ignoring the law. Help us save their life by giving them space to work by SLOWING DOWN and MOVING OVER. Many pets; dogs and cats are ending up inside our shelter systems across the United States due to a list of reasons. Some come in as stray animals or are even brought into the shelter from their previous owners. These pets that are entering into the shelter system are most likely going to die inside the system in a short amount of time. 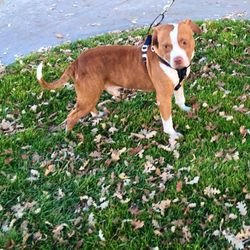 Many states do not have laws from protecting animals inside the shelter system. 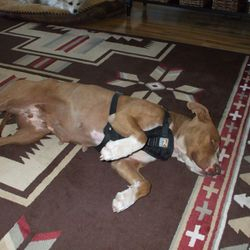 These lives of animals become lost due to euthanasia rates increasing. (Euthanasia is the intentional ending of a life). Many animals are placed on a Euthanasia list for not being able to find a suitable home or for the breed they are. We save animals out of shelters and start them on their road to a safe and loving forever home. As we save each pet out of the shelter, we ensure a each pet has been evaluated by a certified vet on health, Micro-chipped, and sterilized. We Help Dog/Cat owners help find their pets in the streets and Deserts of our local area. We also help those dogs and cats that are wondering the streets that have no family of their own...By state law we are mandated to hold every animal considered to be stray intake for a number of days, to give time to search for their owner! When an owner shows proper proof of ownership the animal it is then returned, but if no owner steps up we will find a forever loving home for this once stray animal. Our State requires us to do everything physically possible to find the owner of each stray animal. In this process we place flyers, network on Lost and Found Pages online, Also place this animal in different circulations for the area. We care for these animals; if they need medical attention.. it will be provided, if they need a bath.. it will be provided, if it needs other items to ensure it to be safe at intake it will be provided. 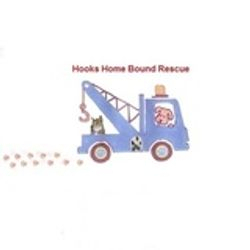 Hooks Home Bound Rescue promises to help save these lives. We know we can not save them all but with your support, we know that we can help save some of these lives and make you more knowledgeable of the many avenues you have to help in saving these lives. In Fostering, Adopting, and Donating you too could become a hero in saving the lives of the animals! Currently as you browse our website thousands of animals are being euthanized nation wide! Currently the most animals are in one type to be euthanized. These are Pit Bull, or Pit Bull type, or Chihuahua type dogs. These types have done nothing wrong to deserve to be Euthanized except what people have perceived them to be. We at Hooks Home Bound Rescue will show, with our sponsors, how these types are not to be perceived negatively. You will learn how these types of animals are like many others that are sitting at your home as you speak. Help us make a Hero out of you by Adopting, Fostering, Donating and Driving Safely!!!! Over Rainbow Bridge rests the rescues that wait for us to join them one day! As we are here on this earth we promise to rescue others in their name!